I’m always looking for more ways to sneak cookies and, most importantly, cookie dough into my diet (see exhibits A and B). 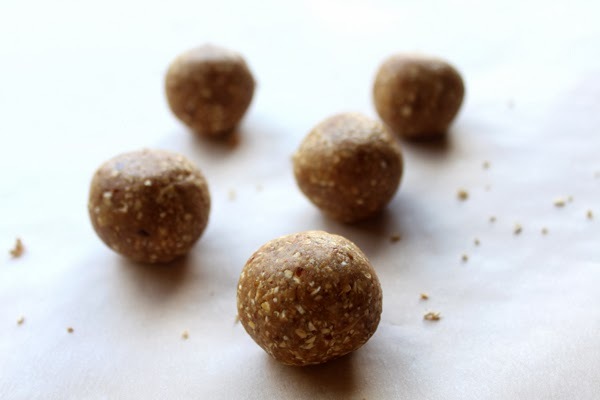 In my search for dough, I’ve discovered some great, guilt-free recipes that are right on the money, but many of them are pretty time-consuming or require the kind of ingredients that I usually don’t have on the ready (sprouted cashews or buckwheat groats, anyone?). Also, a couple recipes that I really like require freezing your dough, and I don’t know about you, but when I want cookie dough, I want it now, so having to wait an hour or two after making it doesn’t always work for me. So the other night, I put aside Pinterest and resolved to come up with an easy way to make a dough-like dessert that I could eat immediately using ingredients that are always in my pantry. I grabbed oats, dates, coconut oil, vanilla extract, cinnamon, and salt, then tossed everything into a food processor and hoped for the best. The resulting mixture was just sticky enough to roll into morsels that—and I do not exaggerate—taste so much like cookie dough! The best part? You can eat them instantly! And no baking! And healthy! Okay, that’s a few best parts, all merited. They’re also vegan and gluten-free, just make sure you’re using gluten-free oats. Yields about five cookie dough balls, depending on how you roll. * I recommend using Medjool dates because they are softer, stickier and larger than other types of dates. I know this because I recently visited a date farm and learned all about these delicious, potassium-rich fruits, including their love lives. 1. 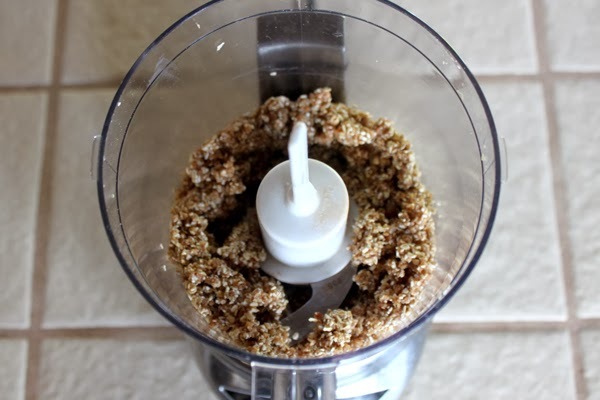 Place the oats in a food processor and grind into a flour. 2. Add all remaining ingredients and process until combined. 3. 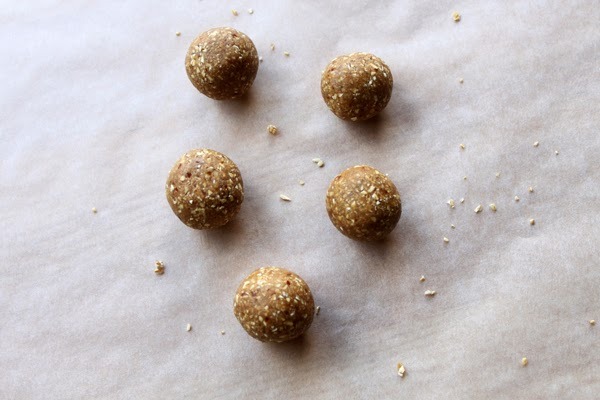 Place the “dough” mixture on parchment paper or a plate and roll into balls. Six ingredients. Three steps. So easy! 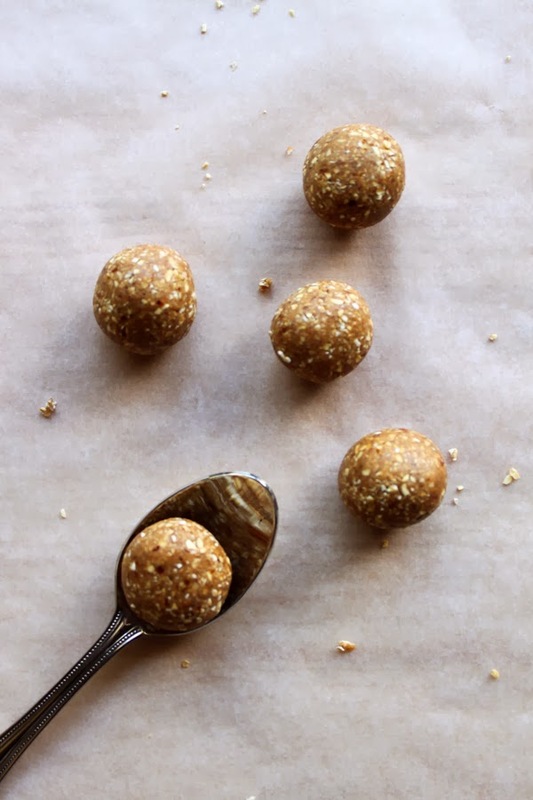 If you prefer your cookie dough on the cool side, you can stick these bites in the fridge for a bit. They taste great chilled, with a slightly chewier texture, but it’s totally optional. 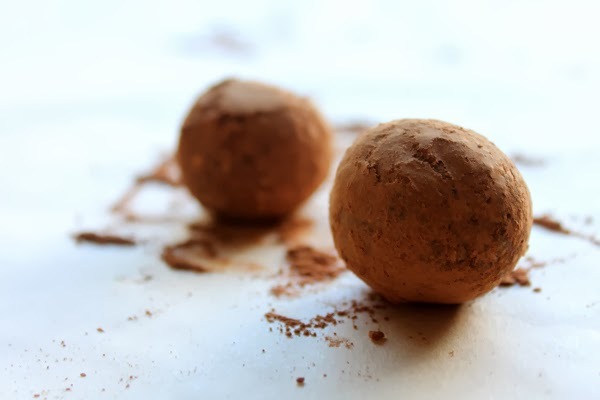 For a truffle-inspired take on these treats, roll them in some cacao powder (pictured below). If your dates have been refrigerated, pop them in the microwave for a few seconds to soften them up before processing. 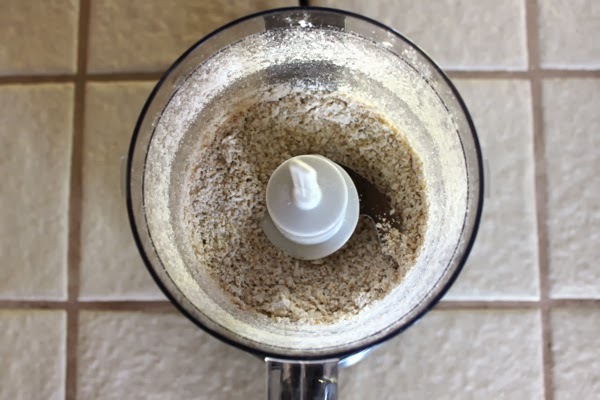 If your dough seems dry or doesn’t start clumping together in your food processor, you can add another date to help it stick. Using three Medjool dates works for me, but you might need another if your dates are on the smaller side. Alternatively, you could add up to 1 teaspoon of water. Now go make some dough!